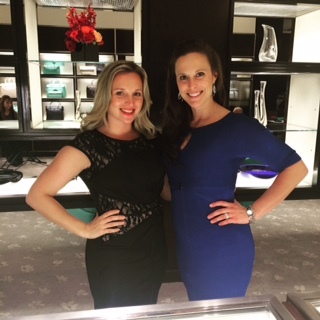 Last night I had the privilege of attending a VIP event at the Tiffany and Company at Copley Place in Boston. The Glamour of New York event was even more than I expected. Guests were greeted at the door with champagne or could easily find their way to the bar for wine and other terrific cocktails. We all snacked on delicious hors d’ouevres by Chef Jody Adams of Rialto and listened to a live musical performance. We were also in the presence of three gorgeous models who were draped in fabulous jewelry. This event brought some extravagant pieces from the Blue Book. Often times these are only on display in New York City, but last night Boston at the privilege of featuring them and selling the items to some of the guests. The Blue Book items always look dazzling in the Tiffany and Company ads and magazine I receive but to see some of the pieces up close was just breath-taking. To learn more about the Tiffany Blue Book click here. I did not purchase an item from this collection as it is way beyond my price point, but still fun to observe. I am in the market for a pair of diamond earrings so I tried on a few pairs last night to decide which ones I should add to my Christmas wish list. I also tried on a few pieces from the Atlas Collection, the bangle you see pictured with the diamond is even more beautiful in person. The photo does not do the sparkle factor justice. 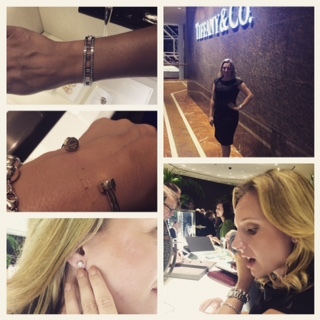 I also tried on the new cuff from Return to Tiffany. I haven’t purchased anything from this collection in awhile for myself as it tends to be popular with the younger audiences but I must say I do like the cuff you see pictured. 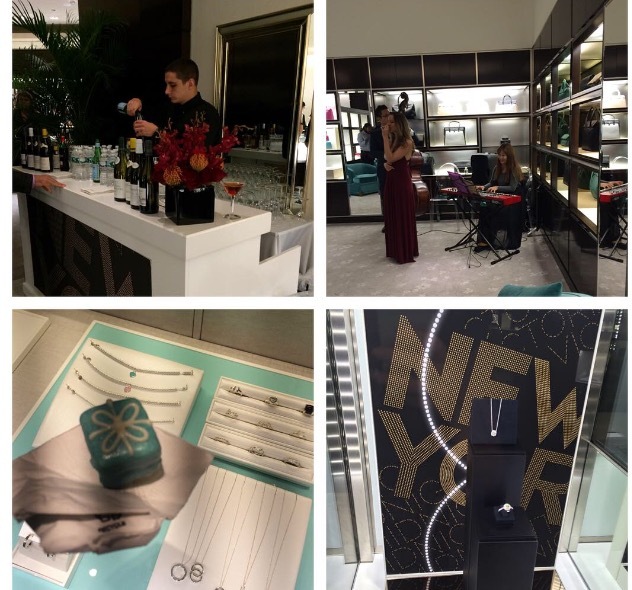 The attention to detail Tiffany and Company focuses on and the warm hospitality they give their clients is just one of a very long list of reasons the brand is so iconic. 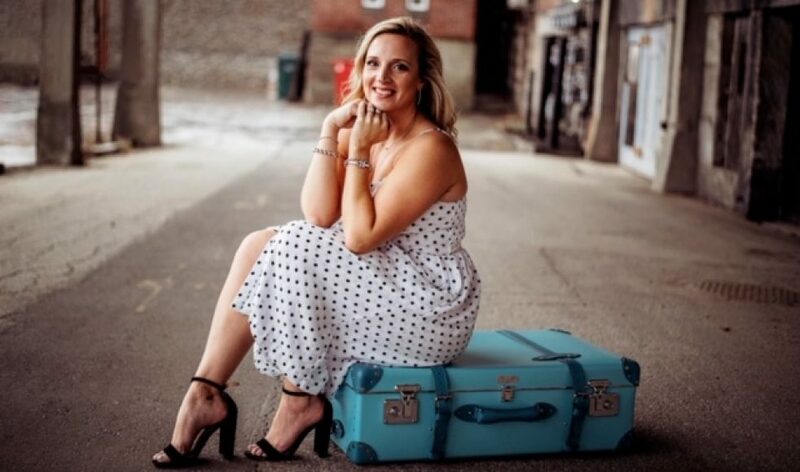 My friend Courtney joined me for the evening as my husband was out of town and she had a splendid evening and has even started her own wish list. In addition to a fun ladies night with Courtney, I also got to catch up with some of my colleagues from last holiday season which is always fun. I was also fortunate enough to have a conversation with Jennifer de Winter who was appointed the role of Senior vice president, North America in March 2015. I had the chance to share my engagement story with her and other things I love most about the brand. However, I did not find out until after our conversation exactly who she was. Here’s to hoping I wasn’t blabbing or brand fan girling too much! If you want to learn more about de Winter’s background and what she has been tasked to do at Tiffany and Company click here. Lastly, I would like to thank my friend Ria DeMay who was kind enough to loan me my fabulous dress I wore last night. She will soon be opening Borrow My Boutique in Brunswick which will rent upscale clothing an accessories to women who want to expand their closets with the latest fashions. The official opening date is Saturday, Oct. 17 but they are already dressing clients. Be sure to click the above hyperlink to learn more about their membership and how you can become a client. I think it will be splendid and exactly what this area needs. As always happy Tiffany reading and shopping to all of you! Let me know what pieces are you dying to have.